The largest flood by area in the USA occurred in 1913. The Midwest and the East were inundated with constant rain, snow, and, as gas lines burst, flames. 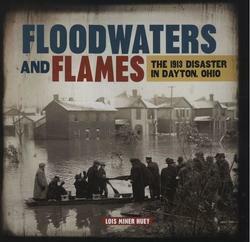 Dayton, OH became the symbol of this disaster, much as New Orleans is the symbol of Hurricane Katrina. The residents of Dayton resolved never again to suffer such a disaster. Their heroic response became the model for how we prepare for and recover from natural disasters today. Was the City of Gold a real place? Treasure seekers and mystery readers alike will love this action-packed Totally True Adventure. Part of a popular series. A Junior Library Guild Selection and chosen by some states and the Bank Street organization as one of the best books of the year. School Library Journal -- This book is certain to capture and hold readers' attention and help them understand that kids' history is human history. Kirkus -- Ample black-and-white photos, document reproductions, and maps as well as fine aftermatter make this a good addition to historical collections anywhere. Oregon Coast Youth Book Preview Center -- This non-fiction chapter book makes history exciting and accessible for younger readers and features illustrations, photographs, maps, connections, and additional facts about the American countries today. School Library Journal -- A solid choice for libraries that serve middle school students, this title will appeal to some would-be archaeologists and is a great addition to classrooms as well. ​A highly visual tour of daily life in Colonial America shows readers what life was like including smells, bugs, germs, and very uncomfortable clothes! 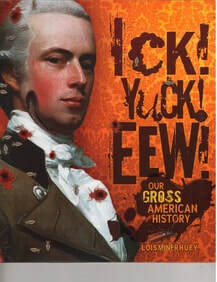 Listed by the New York Public Library as one of the best books for 2013. School Library Journal -- The descriptions of bedbug-infested furniture and clouds of mosquitoes may set some readers scratching. If nothing else, this book should help readers appreciate refrigeration and other processes that keep our food fresh, the wonders of indoor plumbing, and even the humble toothbrush—one look at the mouth full of rotting teeth should send everyone to the bathroom to start brushing. American Archaeology Uncovers the Underground Railroad explains mostly 19th-century discoveries along American Slave routes to freedom. American Archaeology Uncovers the Vikings is about the only Viking site ever to be discovered in the Americas. It is located on Newfoundland, a large island off Canada. American Archaeology Uncovers the Dutch Colonies explores 17th Century Dutch sites in North America. American Archaeology Uncovers the Earliest English Colonies highlights 17th Century English sites in North America. American Archaeology Uncovers the Westward Movementis about archaeology at early fort sites and trails. Molly Brant was the Mohawk Indian wife of the powerful Indian trader, Sir William Jonson, who lived in the Mohawk Valley of New York Colony in the 18th century. Molly's story has largely been ignored but by researching the Johnson Papers and records in Canadian archives, we were able to discover and share her important role in history. Stories from the Battlefields Series From Capstone Press. Presents true accounts of five soldiers in the Revolution, including one child and one woman.